PG-13 (Parental-Guidance) is a hybrid strain that is definitely more for adults than it’s name suggests that’s for sure. The indica and sativa parents work together to deliver a duality of head and body effects that lifts the mood while relaxing muscles. 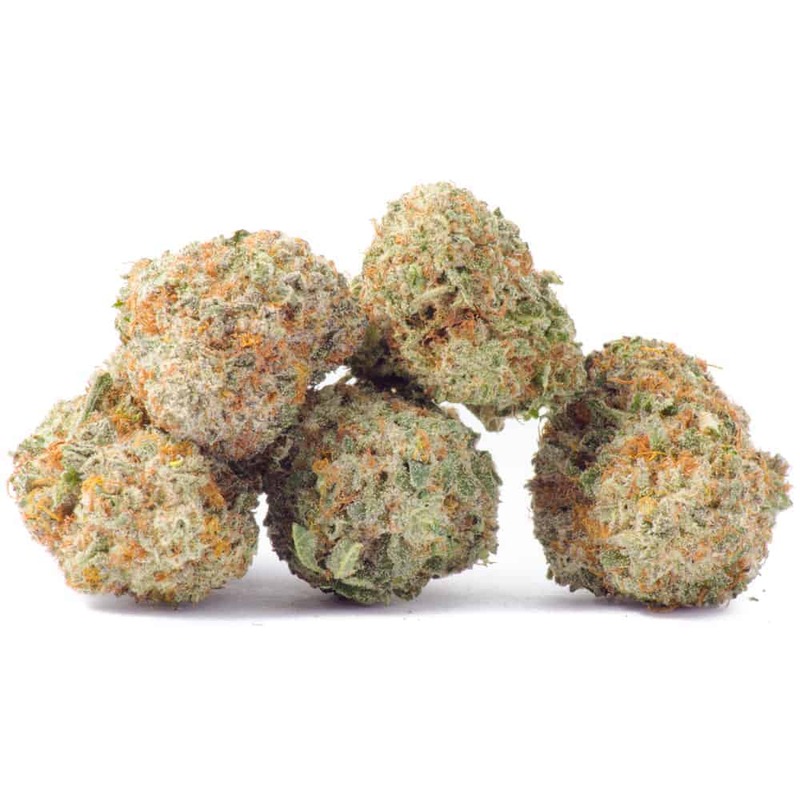 Especially since it’s so hard to come by, this strain is a great choice for someone who wants a bud that packs a deep stone and slightly energized effects. 1 review for "PG-13 – Hybrid 1oz"
Great smelling and looking frosty buds, top quality AAAA strain. The high is just like the goldbuds description. 7 out of 7 ⭐️ stars for me.